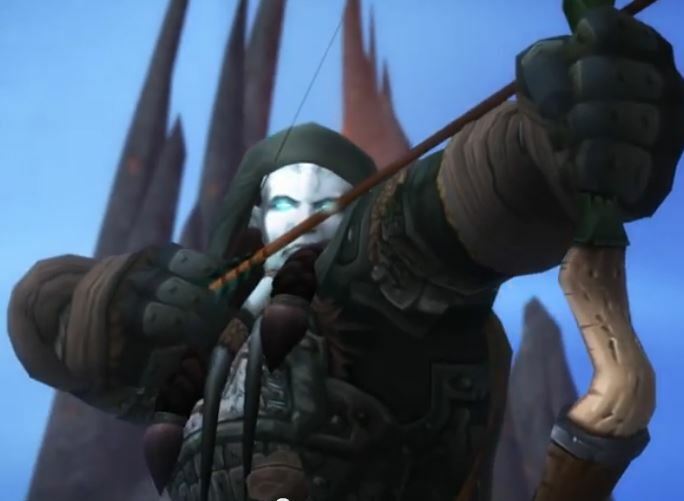 Warlords of Draenor is the latest installment of content coming to the World of Warcraft. Having set foot in the beta and taken stock of the onslaught of changes, the design goal of the expansion appears to be a heavy revamp aimed at revitalizing interest for players new and old alike. I’ll try to cover the basic plot of the latest expansion before I continue on to a more comprehensive listing of features you can expect. Admittedly, we all know that a story in an MMORPG is basically a paper-thin justification for thrashing our way to more loot, but the direction they’re taking this time piqued my interest. Where did the latest expansion, Mists of Pandaria, leave off? With the defeat of the much hated, both lore-wise and by the players themselves, Garrosh Hellscream. Rather than take off on a new tack with this expansion, Warlords of Draenor seeks to continue the story of Garrosh and take him in a direction somewhat new and somewhat familiar to his previous ambitions. Predictably, leaving Garrosh alive following his defeat was a mistake. To the surprise of no one, Garrosh escapes. To the surprise of most I would imagine, he does so with the aid of his time-travelling dragon friends. Okay, so that’s interesting. Garrosh travels back in time to a point in history before the original horde on Draenor had consumed demon blood and become corrupted. In doing so he re-writes history, uniting the ‘Iron Horde’ as it is now called under the leadership of his father, Grommash Hellscream, or Grom for short. Obviously this can’t be allowed to stand, particularly when Garrosh’s ultimate goals involve returning to Azeroth and destroying basically everything, much like the last time he was around these parts. That’s the plot in a nutshell, with the expansion’s multitude of quests, instances, and raids expanding on this chain of events to deliver us more dungeons to plunder, battlegrounds to fight over, and everything else you have come to expect by now. Perhaps the most striking of the changes coming with Warlords of Draenor is the visual overhaul of player character models. It’s an understatement to call this a highly demanded feature, in fact I can remember this being highly requested about the time of the second expansion, this being the fifth, for reference. Along with this comes the usual level cap increase, this time to an even 100, as well as a wealth of new talents to select from on your way to, and at, the new cap. The addition of these abilities adds new options to the classes, but there will be more distinct changes to what we already have. Warlords heavily alters the available selection of abilities, seeking to simplify, in a good way, the ability book by making a good number of them specialization specific. This means as a fire mage you’re unlikely to see a spell book filled to the brim with useless frost spells, and vice versa. Additionally, some abilities were removed outright as part of paving the way for new talents and the changing of some of the old. I can understand why some would be reluctant to see the spells they’ve become used to either taken away from their specialization or removed altogether, but from what I can tell this is less a gutting of ability diversity and more like cleaning it up a bit while they add in new toys for us in the expansion. Also about Toys, a new Toy Box is being added to house your vanity items, meaning pretty much anything without combat application. Another quality of life change is the Heirloom interface, making it far easier to manage the use of heirlooms across all your characters. For those of the bloodthirsty variety, in which I include myself, Player vs. Player (PvP) is receiving sweeping changes to adopt a new Blizzard mentality, namely losing control of your character is bad. Crowd control (CC) of all types has been either toned down or removed. Silence effects have been removed from interrupts across the board, and all disarms have been taken out. The remaining CC abilities have been placed in a smaller group of categories for the purposes of diminishing returns, making them, again, weaker in large amounts. This is just touching the surface of the changes made, but you can start to see the approach they’re taking with this expansion as far as the PvP aspect goes. Warlords of Draenor is also bringing with it new battlegrounds, improvements to the scoreboard, and a new contested zone for Horde and Alliance to fight over called Ashran. This is a permanent zone and is intended to include vehicles, quests, and faction bases. In line with attempts to get rid of unnecessary information clutter, a few statistics are also being removed, among them hit, expertise, dodge, and parry. On the other hand, new minor stats have been added such as movement speed, versatility, and multistrike, to name a few. Largest of the changes to statistics would be the infamous item squish. This is another attempt to bring the increasingly ridiculous numbers of previous expansions back into check so that players can feel powerful without seeing damage numbers covering the screen in the near future. What this basically means is that while your damage might be halved (or more, it looks like,) it won’t actually make it harder to kill anything, as the monsters, too, will be adjusted accordingly. Blizzard is, however, looking to tone down burst and make combat more consistent and less instant reflex-based, so look for some future changes in that regard. So, there you have it, a basic overview of just some of the new content, changes, and features you’ll be seeing come the release of Lords of Draenor. To my eyes it looks like Blizzard has realized some of the failings of previous releases and is trying to accomplish a great deal with this expansion in terms of reinvigorating interest in the game. Even though I’m not particularly a graphics kind of guy, the model update is just one of a few welcome and necessary changes being made in this expansion.